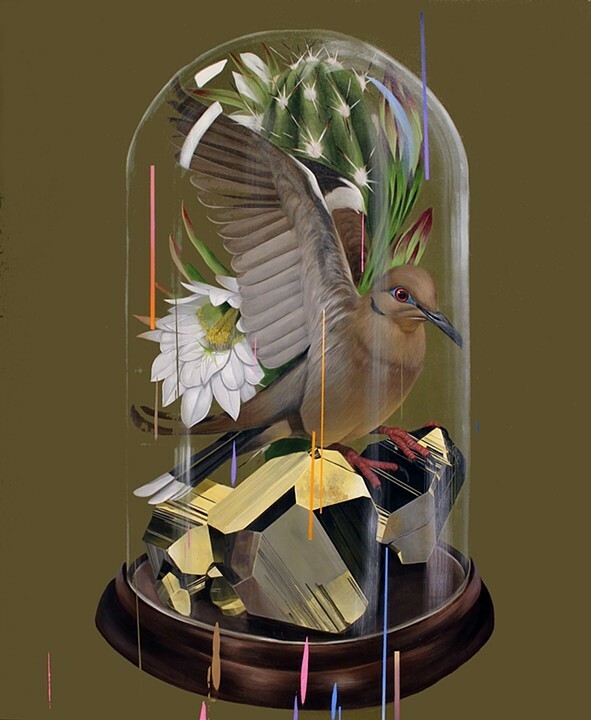 The paintings of Frank Gonzales take on an environment all their own, as he combines incredible mixtures of bird species, bones, crystals and plant life to create a terrarium-like space on the canvas. Based in Tempe, Arizona, the artist is surrounded by endless seeds of inspiration, as the cacti and succulents native to the Southwest, like prickley pear cactus and nopal cactus, can often be found in his paintings. All kinds of species of birds live amongst the artist’s cactus; from hummingbirds to owls, and even a rooster on occasion. A love of nature no doubt sparks Gonzales’s creative flow, as an attention to the small, organic details present in flora and fauna can be seen in every feather, leaf and flower pedal that makes its way into his work. Intricate and complex, Gonzales often combines elements and species that would not normally be found growing together and inhabiting the same space, building stunning yet unlikely ecosystems. 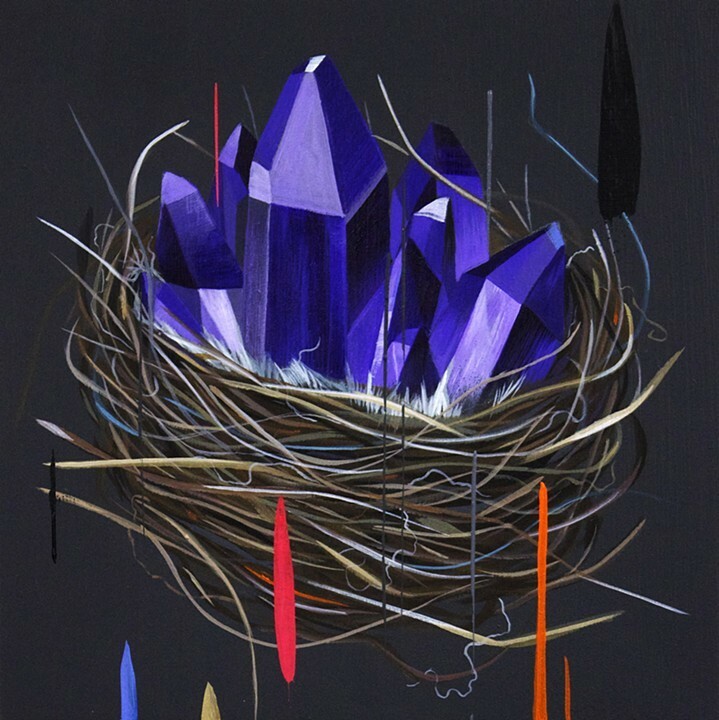 This mixed together with other artificial elements, such as unnaturally colored backgrounds and vivid streaks of multi-colored drops and lines that cut across the compositions, form unique and fantastic environments that are distinct to the artist’s style. 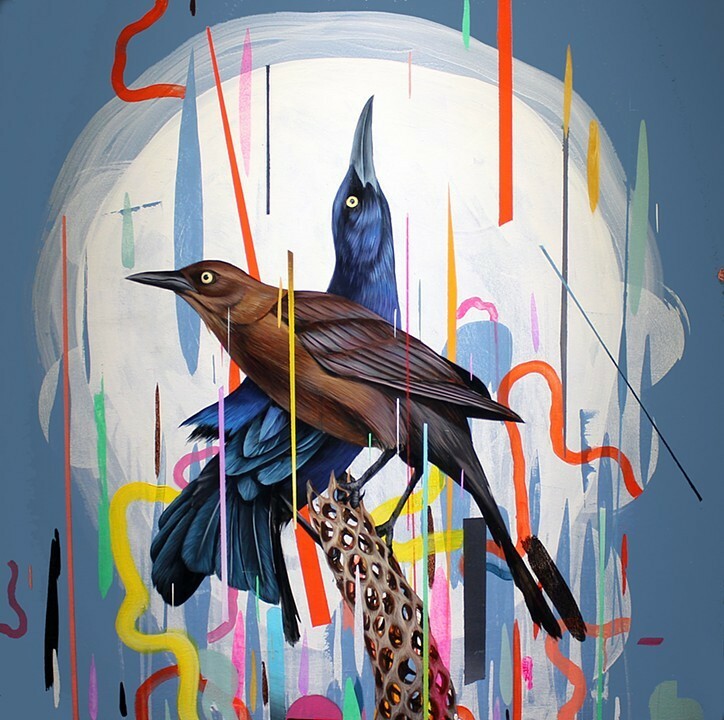 Gonzales has shown his work all over the U.S. in cities like Chicago, Los Angeles and Miami. Prints of his work are available at The People’s Print Shop.